I haven’t reviewed Laval in a while and for the most part, my reviews focus on the Island of Montreal; although, sometimes I like to stray to the north side and see what’s cooking. Galleria is a place I have passed by for years and every time I visit my friends in Laval I end up passing by it, always wondering what it would be like. Luckily for me, I have been here three times now and the past two occasions have been within the same month. As a result, I have been able to sample some of their brunch options. 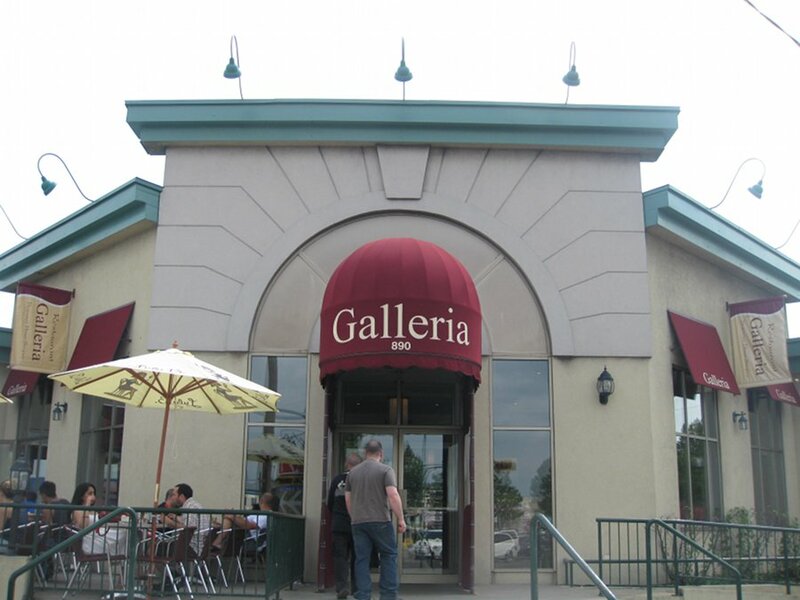 Galleria is impossible to miss situated at the corner of Notre Dame and Curee Labelle. It has a parking lot, which can fill up, and a terrace up front with ample seating for the warmer months. This place is open 7 days a week and offers most of your classic morning favourites. The interior is laid out nicely with lots of seating capacity. Some parts need a little refresher since it has been there a few years and some small things need to be updated (like the washrooms.). The first dish of the day was the yogourt and honey dish ($5.95) which was a nice large portion dripping with honey so much so it fell on the table and was all sticky icky (not the Snoop Dogg kind of sticky icky). The yogourt was really tasty and can be quite filling on it’s own. This, and the fact that it has a decent price and large size, makes for one of my favourite dishes everytime I go. My friend ordered the French toast combo with pancake and eggs ($8.95) which came with a French toast slice, a pancake, two eggs, house fries and some fruit on the side. The French toast was nothing outstanding but the pancakes were tasty and the house fries were impressive and cut up nice and round. The fruit selection on the side was not enormous but more than other places I have been to. Overall, the whole thing is a pretty good deal for the price and coupled with the fact that coffee is included makes it even better. It will also do a good job of satisfying anyone with a decent appetite. I chose the California French toast ($10.50). 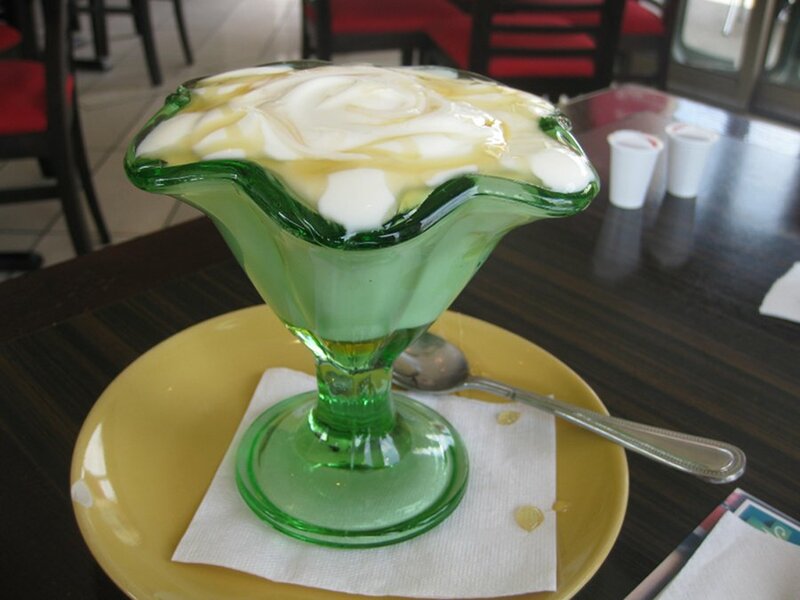 I have had this dish more than once here and I keep ordering it because it is loaded with fruit. 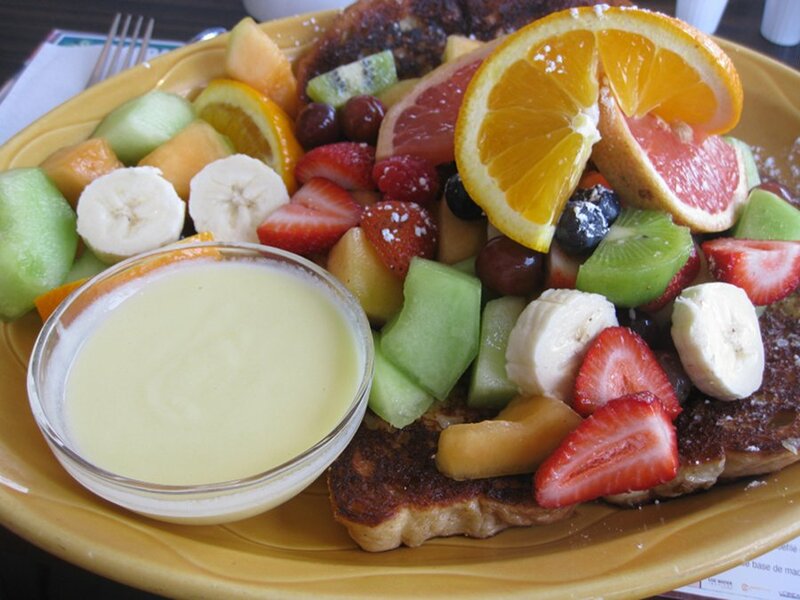 The French toast itself is average; the slices are not enormous nor are they skimpy but the fruit is the best part. You get all this for roughly ten dollars and it includes coffee. The dish is really filling and the fruit was fresh every time allowing me to leave the table very satisfied. Our waitress was nice and our refills were frequent so I drank loads of coffee. One time when we came with my friend’s little baby, the waitress was so nice and sweet and made for a nice breakfast. I always have had good service here and they are kid friendly which is nice considering there are lots of families in the area. With a large varied menu like this, you have some vegetarian options so you should not be worried since you have loads of dishes to chose from. Overall this place gives you bang for your buck. You get a good sized plate and free coffee all for around or under $10. 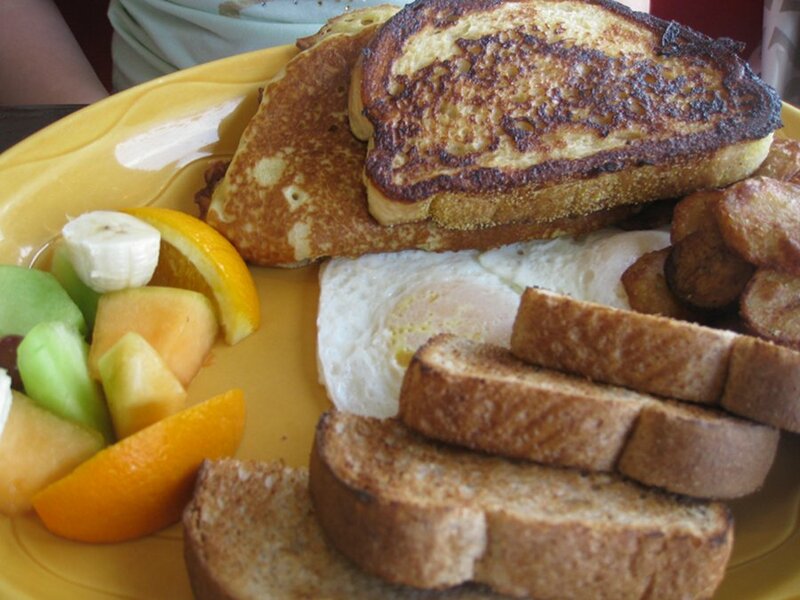 The dishes are not that refined but you get a classic breakfast place with options. In Laval, this is a safe bet to go with and I know I will see myself coming back here again. What happened to this place? It seems to have closed over night.